After a pretty decent run in the portable video space, Cisco‘s finally admitting defeat to smartphones. They’ve just discontinued the Flip line, cutting a good 550 jobs. The entire purpose of the Flip was to be quick and portable, but now that cameras in phones have finally caught up, it’s losing in its own category. Bound to happen at some point. Really dying to get your hands on a Kindle, but short $25? Amazon’s running a promotion where Kindles will go on sale for $114 with banner ads and sponsored screensavers. It’s interesting to see the ad-supported model sneak into the hardware space, although it’s not too different with what usually happens with bloatware-loaded PCs. The potential for equivalent jailbreaking might be possible, as well; I’m sure that someone along the way will figure out how to disable the ads. Not that I’m condoning that or anything. As of March 31, Sony’s settled with George Hotz. As part of the terms, Hotz will have to remove all of his PS3-hacking shenanigans from the Internet, although he never claimed to support piracy. The full terms weren’t released, but I’m glad to see this finally come to an end. Let’s just move on and start pumping those dollars back into developing better products, instead of targeting those who could, if correctly channeled, be a huge asset to the community. The idea of Windows running on ARM processors has been floating out there for a good while, but has just now been confirmed. The strategy from Microsoft’s end seems to be an effort to keep up with the onslaught of tablets in the market, but I’m not sold on that alone. 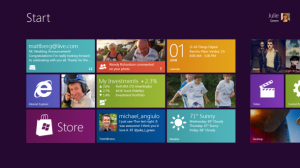 Windows isn’t the answer for tablets – they need to find a happy medium between Windows Phone 7 and Windows 7 that works well specifically for a tablet form factor. Perhaps “Windows Tablet 7″?